Public consultations have begun on the £17m project at Melness in Sutherland with a planning application expected to be lodged next year. Amid signs that a new space race is emerging in Europe, the first launch from the A’Mhòine peninsula is now earmarked for 2020, according to Lockheed Martin, the US company that is developing the project. The mission control for the first orbital satellite launch site in Europe could also be located in the Highlands. UK Secretary of State for Business Greg Clark recently visited the area after the remote site was announced as the chosen location for the spaceport, and it is set to be built on land owned by the Melness Crofters Estate. It is estimated that 2,000 small satellites will be launched from the UK by 2030, with funding secured for other potential spaceports around the country. Lockheed Martin and Orbex are currently developing launch systems that will operate from the vertical launch site. But plans to now launch a year ahead of schedule come after research commissioned by the UK Space Agency warned that Scotland risked being beaten by Scandinavia in the race to build Europe’s first spaceport. Northern Europe is the ideal location for reaching polar orbits, which offer clear transmission signals to Earth for satellites and continuous sunshine for solar-powered batteries. However, the Highlands is not the only site with access to these prized orbits, with rival bids emerging in Norway and Sweden. The space agency was told last week that its future depended on being the first to send satellites into space. 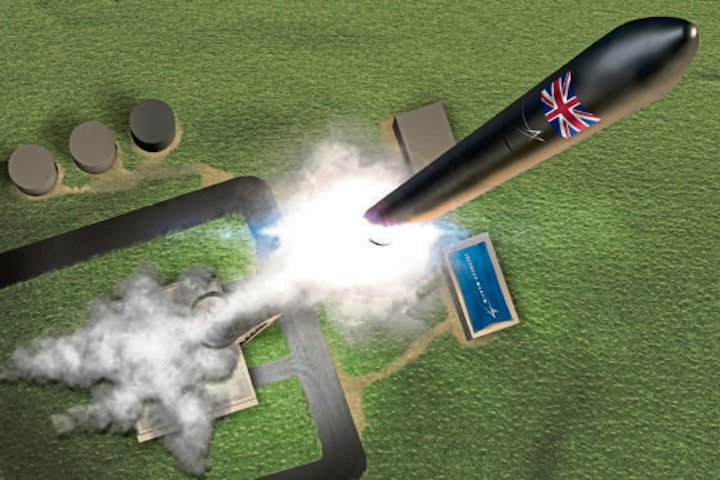 “The UK must be first to market to ensure the long-term success of the launch programme,” the consultancy Frost & Sullivan said in a business case. “First-mover advantage will be significant in the short and mid-terms as there will not be many such business models in operation,” the company said. Britain pulled out of the space race in the 1950s to devote its resources to Concorde, but the miniaturisation of electronic components has made satellites much smaller, lighter and cheaper to launch into space. Maggie Aderin-Pocock, a space scientist who presents The Sky At Night on BBC Four, said: “These small satellites really are a global winner and many countries are latching on to them. “It’s going to be a small, compact and bijou spaceport, but it’s going to do a lot and it’s going to make a lot of difference, especially to the UK economy because now we’ll have an end-to-end system. 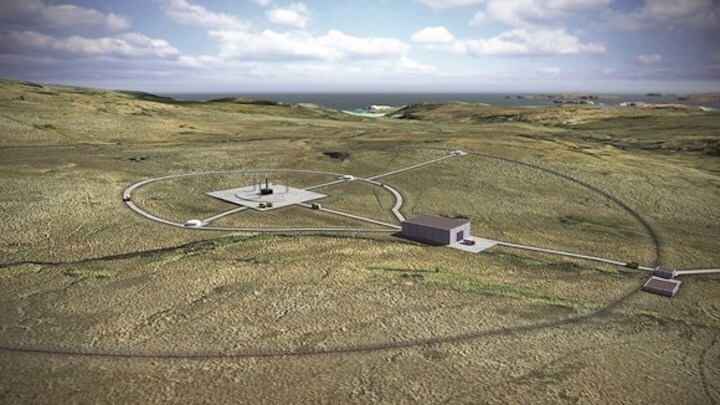 Crofters in Sutherland have voted in favour of pushing ahead with plans for Scotland’s first rocket base. Melness Crofters Estate, who own the prospective launch site for small satellites, confirmed their intention to work with development agency Highlands and Islands Enterprise towards agreeing terms to lease the land. In a ballot of crofters held by MCE this week, 59% of votes cast were in favour (27 votes), and 39% were against (18 votes). There was one spoiled ballot paper. However, a campaign group opposed to the multi-million pound development claim not all of the 56 crofters eligible to vote actually registered their ballot papers. However, the outcome means that the £17.3m project can now move on to the next phase, which will focus on safety and environmental issues, as well as community engagement. A planning application is expected to be submitted to Highland Council by the end of 2019. Roy Kirk, HIE’s project director said: “The creation of a satellite launch centre in Scotland is a unique and exciting project. “We are very grateful to the Melness crofters for agreeing to work with us as we progress plans to make our vision a reality in Sutherland. “We firmly believe that the spaceport will open up a host of new opportunities for businesses that want to become involved in the growing space sector. “As part of our next steps, we’ll be stepping up our communications and making sure local people know what the spaceport is likely to mean for them. Dorothy Pritchard, chairwoman of MCE said: “MCE held a ballot that resulted in support for progressing discussions to reach a heads of terms. “This simply means we are happy to continue discussions with HIE, work towards a conclusion on the heads of terms and ultimately the land lease. Chris Larmour, chief executive of Orbex launch systems, said: “We are one important step closer to having satellites launched from British soil. HIE expect the spaceport to employ about 40 people and support around 400 jobs in the region.